Sweeten someone's day with this terrific cookie bouquet! 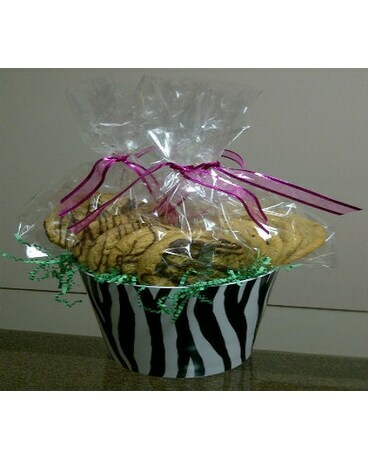 Mixed cookies arranged in a container or basket. Decorated with accents appropriate for recipient and occasion.